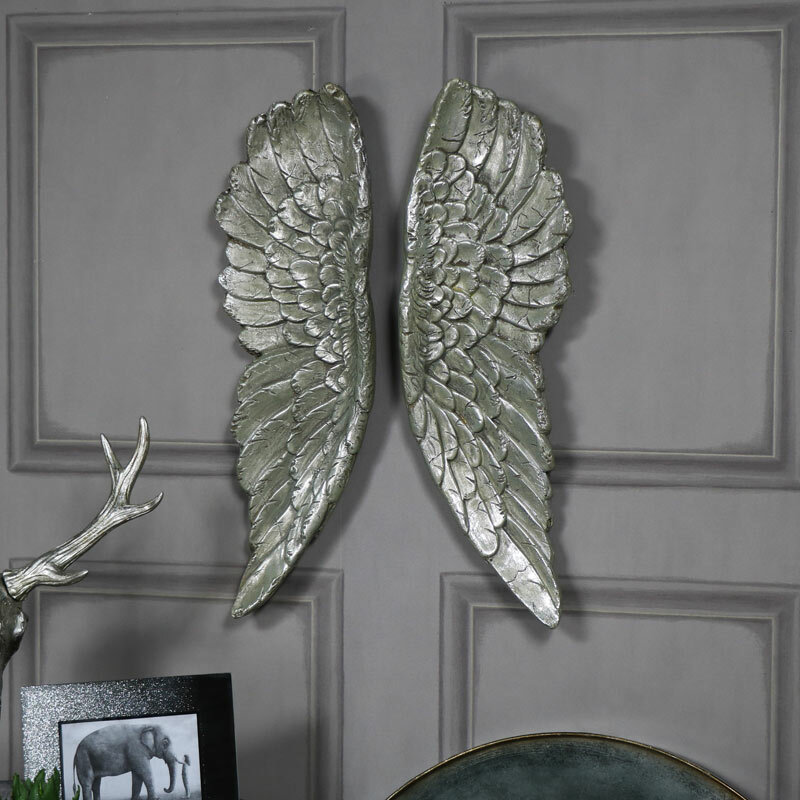 A pair of large decorative silver angels wings to adorn your wall. A striking piece of wall art that will be sure to making a great converstion piece. A simply divine way to decorate your home and add some vintage style to your living room, hallway or bedroom. These would make a gorgeous and impressive addition to any room. 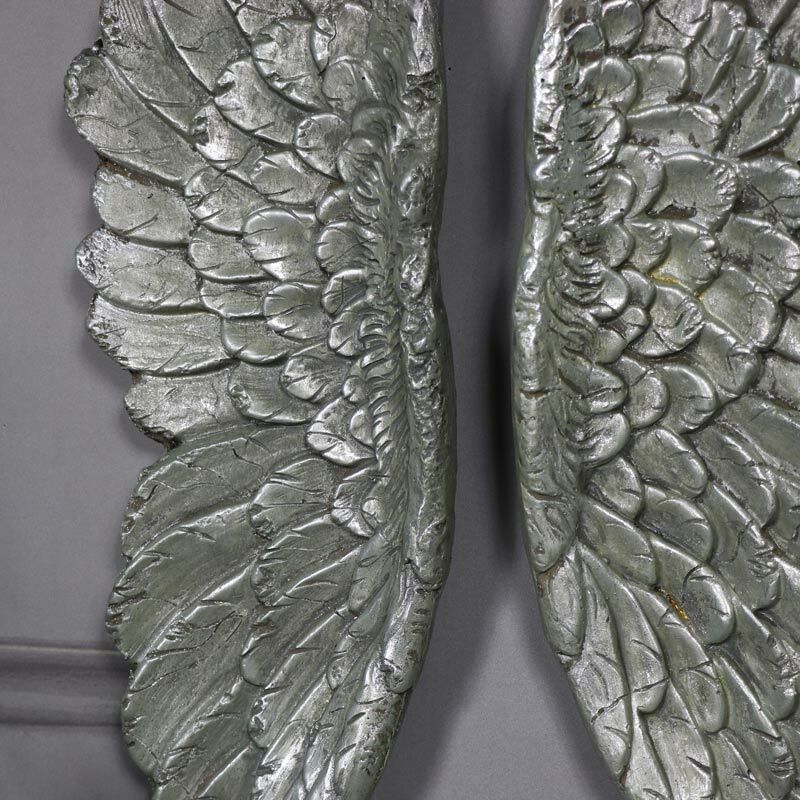 Hung over a fireplace or on a feature wall, these angel wings will add an element of magic and wonder. A pair of large decorative silver angels wings to adorn your wall. A striking piece of wall art that will be sure to making a great converstion piece. A simply divine way to decorate your home and add some vintage style to your living room, hallway or bedroom. These would make a gorgeous and impressive addition to any room. Hung over a fireplace or on a feature wall, these angel wings will add an element of magic and wonder. Made from resin in an antique silver finish with realistic feather detailing on each wing. Easily wall mounted with a hook on the back of each. A fantastic addition to our wonderful range of gifts and accessories. You'll never be stuck for ways to decorate your home or gifts for loved ones, friends or family.